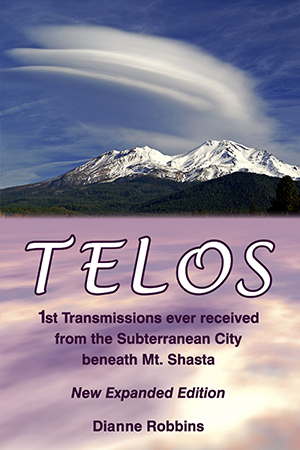 "TELOS: 1st Transmissions ever received from the Subterranean City beneath Mt. Shasta"
As you know, there is no tax system in the Subterranean Cities or in the Hollow Earth. We are tax free, and everything we need is generously given to us from Mother Earth herself. It seems ludicrous to us to have to pay a tax on fruit from our Mother's garden or grains from her fields, that she yields so generously. We wonder at the reasoning behind taxing the foods that are supplied from the Universal Food Basket of Abundance, and denying people their share. Here in Telos, all foods and commodities are free, and are freely given or bartered for. This way, everyone has everything they need to live a life where all necessities are met, and which results in freedom of time to live and develop our creativity. We don't think about money or taxes, so our thoughts are free to roam the universes. In Telos, we go about business in complete alignment with Universal Laws. We know that your tax system on the surface is fraudulent, so we don't participate in it. We don't ever tax anyone for anything. Our laws and regulations are direct from the Creator, and it is the Creator that we answer to. There's no "middle man" in the way. We bring all our business concerns to our councils, where we resolve conflicts individually and according to Universal Law. This way, only justice is enacted and only justice results. 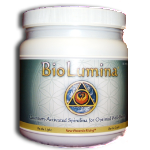 We are very particular about our business connections, and seek only those "contracts" which are aligned with Universal Law. There is no profit ever gained at the expense of another, for we all are that "other", and by protecting others, we protect ourselves. We are saddened by the state of affairs on the surface. You have become slaves to a corrupt system of usury. You have unwittingly given your power away, and work long hours to pay debts that you don't really owe. We believe in democracy, and the right of all human beings to live in peace and with abundance, and in a system supported by justice for all. We acknowledge your sovereignty and desire to be free of income taxes. In Telos we pay no taxes, nor is such a thing ever considered. We are a free people, each and every one of us, and equally responsible for the economics of our society. Everything we need or use is exchanged through our Barter System. This system acts as an "even exchange", so that we can freely obtain and trade for whatever we need. This gives us great latitude and freedom in our exchange system, and makes bartering "fun". No one is deprived of anything, nor is anything ever taken from us. We value our freedom above all else. We would never allow a system of taxation to exist, for it would deprive us of our inalienable right to life, liberty, and the pursuit of happiness. Sound familiar? You on the surface have been duped by your government into believing that you have to pay taxes. Nothing is further from the truth. For in truth, you established your government so as not to be burdened by taxes. You are all free — you just don't know it. In Telos, all our goods have equal value, and we "price" things within a certain range so that they can be exchanged for a variety of items. All domestic items are made by us, and we "import" only technological equipment when we need it, and then return it when we're done. It isn't necessary for us to "own" everything we use, such as is your custom on the surface. We share what we need, hence "eliminating" the factory production system and long hours of conveyor belt work. Our life is easy, providing all we need in half the work time.